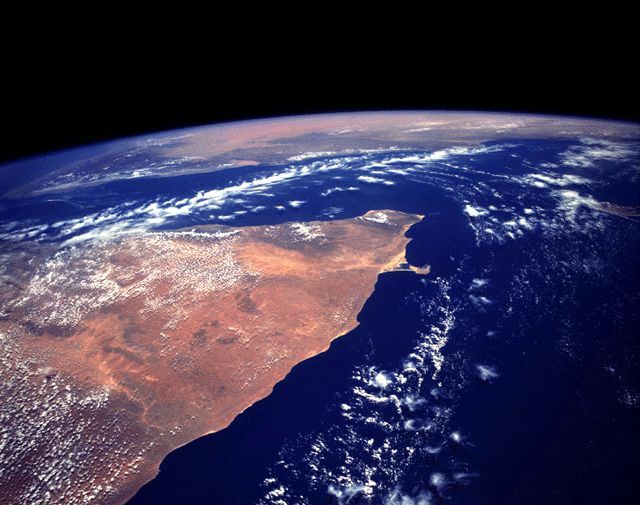 The Horn of Africa is a very unstable region and one of great focused concern to US foreign policy and, more specifically, to CENTCOM. In light of the recent attack by pirates off the coast of Somali against a cruise liner, the importance of the Horn of Africa as a key objective in the Global War on Terror is increasingly apparent. The Horn of Africa is the northeast portion of Africa. CENTCOM's Combined Joint Task Force - Horn of Africa (CJTF-HOA) defines its area of responsibility as Kenya, Somalia, Ethiopia, Sudan, Eritrea, Djibouti, Yemen and Seychelles and was fielded in 2002. CJTF, led by Marine Maj. Gen. Timothy Ghormley, is not your typical Joint Task Force. With over 1,500 soldiers in the task force, its job is more diplomatic than war-fighting. "Task force commander Marine Maj. Gen. Timothy Ghormley very proudly tells one and all that no one in his command has 'fired a shot in anger,' but the command may have prevented hundreds of young men and women in the region from embracing the terrorist philosophy. 'My combat forces are doctors, veterinarians, engineers and dentists,' Ghormley said during an interview at his headquarters today." The structure of CJTF is novel indeed and maybe the future of more such operations. "Defense Secretary Donald H. Rumsfeld has called the command a model for the future of DoD. But the task force may become a model for the entire government. Planners are working on a reorganization that would include all agencies that can help." Other agencies that may be brought in to assist CJTF could include the Department of Justice, Treasury and Agriculture along with the efforts already underway by the US State Department. Rather than a unilateral approach, the US has stressed the "coalition of the willing" approach. The British, Dutch, French, Romanians and Koreans are among countries taking part. However, even with a multilateral approach, there are several challenges. This excellent Asia Times Online by Michael A. Weinstein lays out the challenges. In a frank appraisal of his mission, Ghormley said that the major requirement for its success and his major difficulty was gaining access to the region's countries, except for Djibouti. Among the four core states of the Horn, the CJTF is barred from Somalia because Washington has ceded responsibility there to the African Union; it is unwelcome in Eritrea, which accuses Washington of backing Ethiopia in the border dispute between the two countries, and it has achieved solid footholds in Ethiopia and Djibouti." Therefore, the efforts of the task force to build goodwill among the nations it is active in is critical to its long-term success. Their efforts build goodwill and promote long-term stability in relations between the US and the African nations. The US efforts in the Horn of Africa are visionary, for the mission is not one of days or even years, but is a generational commitment. In a recent press conference with Gen Ghormley, he spoke of the generational component of the mission. ...The work the military is doing in the Horn of Africa is generational, meaning it will leave a lasting impact, Ghormley said, and it proves that U.S. forces can be used for something other than conflict." The Horn of Africa is a critical piece in the Global War on Terror, for it is part of an "arc of instability" with a large Muslim population that can and is being radicalized by al-Qaeda. It is more than a mission to attack terrorists but to reduce the ability for terrorists to recruit new fighters for Iraq, Afghanistan and beyond for suicide bombings and direct attacks on innocent people. However, Gen. Ghormley's leadership, along with his Marines, are leaving the mission as the US Navy will be taking over the CJTF with an unnamed admiral as its head, allowing the Marines to tackle responsibilities elsewhere (Source Winds of Change). there is a newly update on you page. Your pages are so funny! The mind states are five, and are subject to pleasure or pain; they are painful or not painful. If we want light, we must conquer darkness! In a frank appraisal of his mission, Ghormley said that the major requirement for its success and his major difficulty was gaining access to the region's countries, except for Djibouti. Thanks! You blog is so lovely that speak the words right out my month. Very good post with useful information. I really appreciate the fact that you approach these topics from a stand point of knowledge and information. Please keep on posting. I think that Africa is very unstable and a preoccupation with U.S. foreign policy and more specifically to CENTCOM.